English Cottage Lifestyle. A Celebration Of England's Cottages. Are you enchanted like me, by the English cottage? Do you dream of living in a cottage in England, surrounded by picturesque villages and glorious countryside? Cottages are beloved by so many, whether we live among them or wonder upon these rural beauties while exploring England. 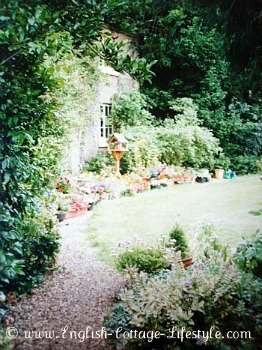 Cottages attract those of use wanting to live a greener or self-sufficient lifestyle and also for artists and writers, like myself, and anyone wanting to escape the city and relax in the countryside. They represent the idea of the "good life" and as our lives become more chaotic in the modern world we long to return to nature, to a rural retreat in the countryside, if only for a while. You don't have to live in an cottage to enjoy the lifestyle. It's a way of thinking as much as a way of living. English Country Cottages Discover more about cottage history, building materials and styles; including Timber frame, Stone, Cob and Thatch. Cottage Gardens Create your own cottage garden and discover more about cottage plants, garden designs and a month-by-month organic gardening calendar. Cottage Decorating Show your personality and create the cosy cottage look. Traditional decor combines with English style to create charming interiors. 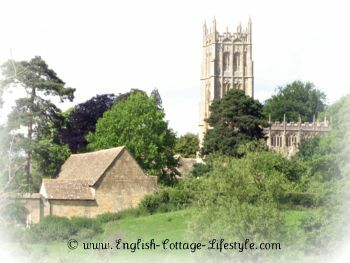 Cottage Holidays Travel with me and discover "England's Most Beautiful"...Cottages, gardens, villages, towns and landscapes. "The stranger who would form a correct opinion of English character must go forth into the country. He must sojourn in villages and hamlets; he must visit castles, villas, farmhouses, cottages; he must wander through parks and gardens, along hedges and green lanes; he must loiter about country churches, attend wakes and fairs and other rural festivals, and cope with the people in all their conditions and humors." 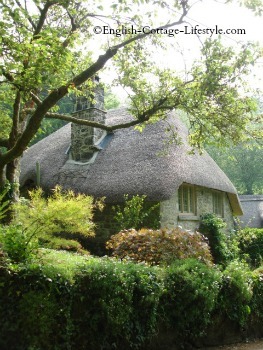 I am totally bewitched by England's Cottages…I hope you will be enchanted too. Discover more about England's most beautiful cottages. 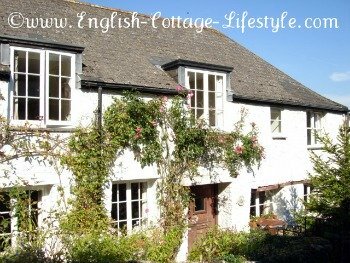 ECL E-zine ﻿The E-zine for lovers of English cottages, or for those who would like to know more about the English cottage lifestyle. ECL Blog English Cottage Blog keeps you up-to-date with all additions and changes to the English-cottage-lifestyle.com Web site. Subscribe here. Cottage Gardens Discover all about cottage gardens and learn how to create the garden of your dreams. Cottage Gardening Organic Cottage gardening techniques and how to plant a cottage garden, growing a vegetable garden and monthly gardening calendar. Cottage Garden Gardening Calendar A monthly guide to gardening in the cottage garden. Each month you will be gently reminded of things to do in the garden. Cottage Garden Plants Cottage Garden plants annuals and biennials, perennial plants, plants for bees and butterflys, herb garden plants, growing vegetables and growing fruit. Cottage Decorating Learn all about cottage decorating and creating the cottage style in your own home or cottage. Cottage Style Furniture Cottage style furniture, English country furniture and antiques all belong in cottages. Learn how to create the layered eclectic English style in your cottage. Country Cottage Holidays ECL's Guide to cottage holidays. Your guide to the best attractions and things to do in beautiful Cottage England.